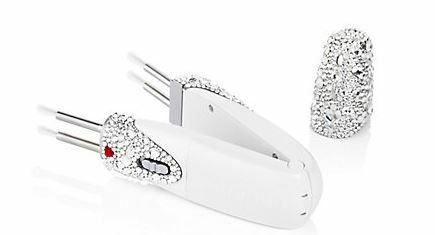 The answer to non-surgical solutions are CACI, just in time for Valentines Day they have teamed up with Harrods to bring the limited edition hand encrusted Swarovski ‘heart’ crystal CACI Microlift. 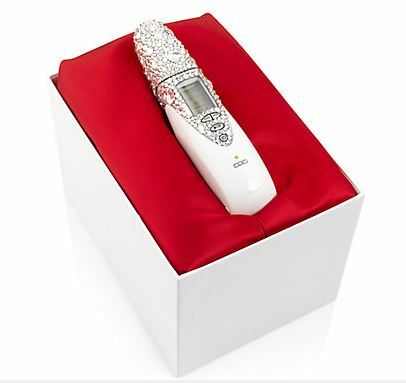 The CACI Microlift is the best kept celebrity beauty secret and now the heart crystals makes this device the number one must-have. Celebrities such as Linda Evangelista, Danielle Lineker and even Phillip Schofield swear by the CACI Microlift to use at home, firming your skin and reducing the signs of ageing. These days everyone is talking about the all important fuller pout and curvacious lips! CACI’s non-filler lip plumping salon treatment is the answer this Valentines. In just ten minutes this salon treatment tones facial muscles over the entire mouth area while reducing fine lines leaving you with full lips. This treatment is priced at just £40 and available at professional beauty salons, clinics and spas nationwide, you can look for your nearest salon here.